Paul Molino is the Managing Partner and one of the founding partners of Rakoczy Molino Mazzochi Siwik LLP. He is registered to practice before the United States Patent and Trademark Office and holds a Bachelor of Science in Pharmacy. Mr. Molino has extensive experience handling complex patent infringement litigation matters in federal courts throughout the United States, with particular emphasis and expertise in the pharmaceutical and chemical industries. Mr. Molino has extensive experience handling and litigating highly specialized Hatch-Waxman statutory patent infringement and other actions on behalf of generic pharmaceutical companies involving prescription pharmaceutical drugs. Mr. Molino's experience extends from pre-litigation counseling up and through trial, and includes numerous trials through verdict in the past few years, along with preliminary injunction proceedings. His litigation experience includes such blockbuster drugs as Neurontin® (gabapentin), Paxil® (paroxetine hydrochloride), Pravachol® (pravastatin sodium), Zoloft® (sertraline hydrochloride), Tricor® (fenofibrate), Antara® (fenofibrate), Ceftin® (cefuroxime axetil), Depakote® (divalproex sodium), Zantac® (ranitidine hydrochloride), Glucophage® (metformin hydrochloride), Omnicef® (cefdinir), Altace® (ramipril), Wellbutrin XL® (buproprion), Effexor XR (venlafaxine), Xopenex® (levalbuterol), Keppra® (levetiractam), Megace® (megestrol acetate); Fosomax® (alendronate), Clarinex® (desloratadine), Trilepta® (oxcarbazepine), Femara® (letrozole), Lipitor® (atorvastatin), Crestor (rosuvastatin), Uroxatral® (alfuzosin), Cymbalta® (duloxetine), Boniva® (ibandronate), Namenda® (memantine), Pulimicort Respules® (budesonide), Carbetrol® (carbamazepine), Lunesta® (eszopiclone), ®Oracea® (doxycycline), Evoxac® (cevimeline), Nasonex® (mometasone), Trizivir®, Lumigan®, Latisse®, Ranexa® (ranolazine), Zymar® and Zymaxid® (gatifloxacin), Atripla® and Apriso® (mesalamine), Truvada® (emtricitabine and tenofovir), Epzicom® (abacavir and lamivudine) and many others. One example of Mr. Molino’s victories was when the Federal Circuit issued a ruling affirming the U.S. District Court of the Eastern District of Virginia's finding that Lupin's generic Cefdinir drug does not infringe U.S. Patent No. 4,935,507. This victory allowed Lupin to continue marketing its Cefdinir product in the U.S. Moreover the case was a long awaited en banc opinion setting the new standard relating to “product by process" claims . . . finally resolving the split between the holding in Scripps and the holding in Atlantic Thermoplastics. Mr. Molino also assisted in obtaining a final judgment of invalidity before the United States Court of Appeals for the Federal Circuit on GlaxoSmithKline's main patent for Paxil®, one of the world's best selling antidepressants. Mr. Molino was a member of the trial team that won a decision of noninfringement on that patent in the district court before Judge Richard A. Posner. This trial victory received national attention and was highlighted in the American Lawyer, National Law Journal, New York Times and other national publications. Mr. Molino assisted in defeating a motion for a temporary restraining order and preliminary injunction relating to the prescription drug Altace® (ramipril). This victory enabled the firm's client, Lupin, to immediately launch its product onto the U.S. Market. Mr. Molino was involved in the Neurontin® (gabapentin) litigation, and assisted in obtaining two district court judgments of noninfringement for his pharmaceutical clients on two of Pfizer's patents for that multi-billion dollar prescription drug. He was also involved in the ground-breaking decision for generic drug industry on "off-label" method use of patents relating to gabapentin. Mr. Molino assisted Watson Pharmaceuticals in defeating a preliminary injunction request against Roche relating to Boniva® (ibandronate) before Judge Chesler in the District of New Jersey. 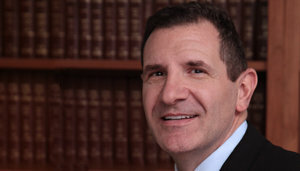 Additionally, Mr. Molino was one of the lead trial attorneys in the win for Apotex over Merck (Schering) in a bench trial before Judge Peter Sheridan in the District of New Jersey involving Nasonex® Nasal Spray, another multi-million dollar prescription product, where the court held that Apotex did not infringe Merck's polymorph patent. Mr. Molino was also one of the lead trial attorneys in the win for Lupin in a bench trial before Judge Edwards in the District of Delaware involving Trizivir® and in the win for Lupin in a bench trial before Judge Robinson in the District of Delaware involving gatifloxacin ophthalmic solution, which was subsequently affirmed by the Federal Circuit. Mr. Molino's practice also includes counseling clients regarding patent strategies and developing and protecting intellectual property rights, including identifying and creating design-around opportunities and counseling on patent scope and validity issues, in addition to preparing for the upcoming phase of litigation relating to biosimilars and biologics. Mr. Molino counsels pharmaceutical and other companies in FDA regulatory matters, with particular expertise in Hatch-Waxman and related issues involving abbreviated new drug applications (ANDAs) and related regulatory submissions. Mr. Molino has developed a detailed understanding of the scientific, business and legal issues important to pharmaceutical companies, including biologics and biosimilar products. Prior to founding Rakoczy Molino Mazzochi Siwik LLP, Mr. Molino was a partner in the national law firm of Lord, Bissell & Brook LLP. He joined that firm as an associate in 1994 and was elected to partnership in 2000.